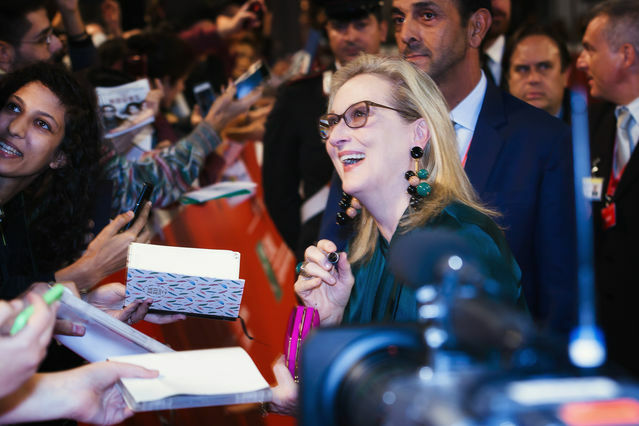 Meryl Streep’s emotional speech after receiving the Cecil B. DeMille Award for Lifetime Achievement at the Golden Globes on Sunday night spread like wildfire across social media. Many heralded it as an act of bravery, while some controversy was quick to unfold as well, given the current divided political climate. It certainly says a lot about our times that calling for basic human decency and criticizing the president-elect of the US for imitating a reporter with a disability can stir such strong emotions on either end of the political spectrum. Empathy, the experience of understanding another person’s condition from their perspective, is the link between ourselves and “the other” and as such is a critical concept for any functioning peaceful human society. It serves as the prerequisite of moral imagination and judgment; only if we are capable of accepting the other as a being with feelings do we feel compelled to act morally. We don’t mind kicking a table, but we do refrain from—or at least feel a moral dilemma when—kicking a dog. That is the essence of all art, if you will, but it is Hollywood’s unique power that it can make this art so much bigger than life, able to touch millions of people. Long before the advent of Virtual Reality, Hollywood has been the big empathy machine which not only connected Americans to Americans through showcasing common values, but also connected America to the rest of the world by constantly accruing and replenishing massive reserves of soft power, one of the main reasons why the 20th century was considered the American century. This soft power of Hollywood is still alive and kicking, and it can’t be overstated these days. If we indeed live in a “post-truth society,” let’s at least hone our imaginations and never stop envisioning better worlds. What the writer Ursula Le Guin once said rings particularly true now: “We need realists, but realists of a larger reality.” Today’s escapism might be tomorrow’s vision. Today’s fiction can celebrate stories that defy the narrative of the day; stories of idiosyncrasy, vulnerability, and difference. They can beat populism with popularity. These words apply to business leaders in all kinds of corporate settings as well. When it comes to empathy, the workplace has a particular responsibility since most of us spend the majority of our waking hours there. Work serves as the most important catalyst for forming community, establishing a social contract, and integrating individuals into society. In the business world, empathy is now a term like “innovation”—everybody’s darling. Companies like to tout themselves as masters of empathy, some of which make it even onto the newly launched Global Empathy Index. No wonder there has been some backlash lately. However, just because empathy has become a buzzword doesn’t mean it is not a substantial and valid concept. It can yield concrete business benefits such as customer intimacy and loyalty, a culture of trust and creativity at work, and the capacity to foresee unmet customer needs and desires. Faber’s words highlight the difference between empathy and sympathy. Deliberately, he evoked the concept of brotherhood or sisterhood—drawing from the French ideal of fraternité—as opposed to friendship. This is important when we look at our workplaces: so many young start-ups and tech companies are trying very hard to create a campus-like culture where we can or are even expected to be friends with everybody, based on a shared set of goals and values, as well as similar lifestyles and educational and cultural backgrounds. But empathy is different, more inconvenient. It’s about encountering the other and understanding differences, being challenged in our world views and yet being able to forge a connection and engage in a respectful relationship with the other. You can choose your friends – but not your brothers and sisters. It is the very crux of our times, it appears—that we are trained to like one another as long as we are like-minded, but that we fail to develop true empathy for others when they are different and outside of our filter bubbles, which are often strikingly identical with our project teams at work. Our workplaces, and our societies, would be much more humane if we viewed our colleagues as brothers and sisters instead of friends.